How to Get Rid of Blackheads in Ear Quickly? Home » Beauty Care » How To Get Rid Of Blackheads In Ear Quickly? 1. Do you know anything about blackheads in ear? 1.1. Does the appearance of blackheads mean your ear is dirty? 1.2. DO BLACKHEADS GO AWAY ON THEIR OWN? 1.3. Aside from excess sebum, are there any factors creating blackheads in ear? 2. How to get rid of blackheads in ear quickly? 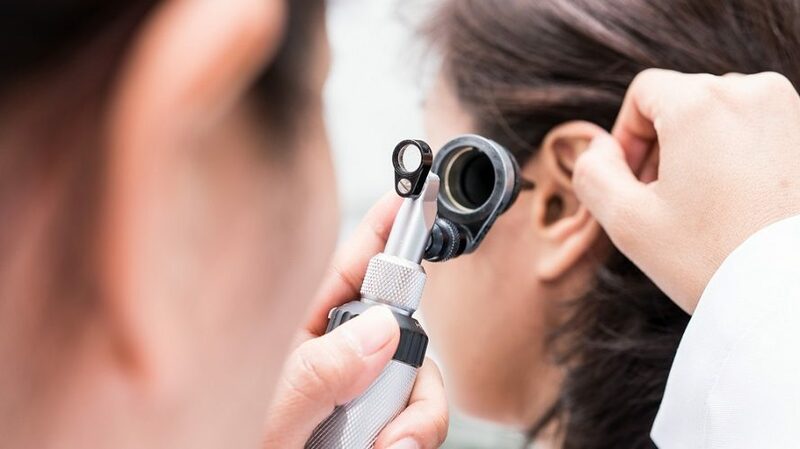 Since you are only acquainted with the appearance of blackheads on the T-zone of your face, discovering these little black spots in ear might make you anxious and worried. So, what will you do if falling into this situation? 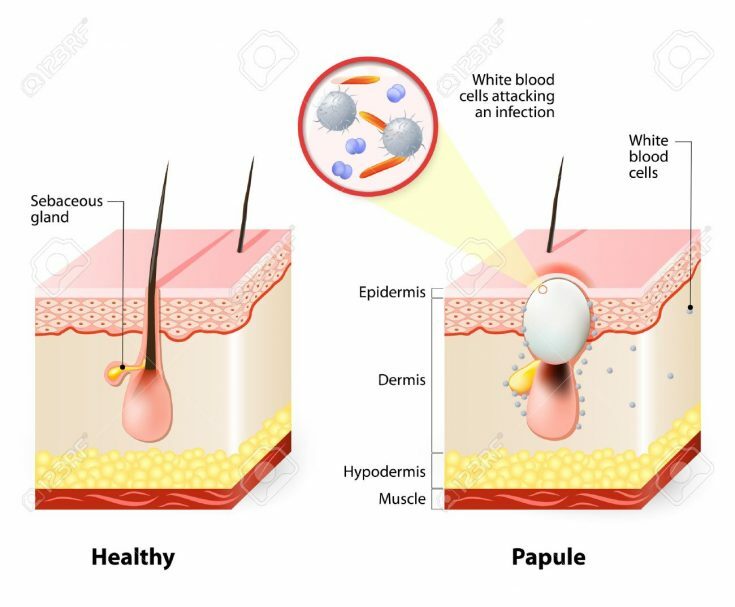 Is it similar to studying HOW TO GET RID OF BLACKHEADS ON FOREHEAD or HOW TO GET RID OF BLACKHEADS ON CHEEKS or HOW TO GET RID OF BLACKHEADS ON LIPS? Learn how to get rid of blackheads in ear to know better. Do you know anything about blackheads in ear? Before finding how to get rid of blackheads in ear, you need to distinguish the difference between a pimple and a blackhead first. Actually, it’s not hard to recognize blackheads because they tend to develop closer to the surface of skin pores. And when exposed to air, they will be oxidized, leaving a dark color. Basically, blackheads don’t cause any pain like pimples. But, when forming in ears, they can be painful and infected since the ears’ skin is thinner. Does the appearance of blackheads mean your ear is dirty? Blackheads are caused by too much oil secretion of your sebaceous glands. So, if the pores in ears are large and produce a significant amount of oil, they can clog sebum, dead skin cells, and dirt inside. And when coming into contact with oxygen, these pores turn black and create blackheads. Although blackheads don’t mean your ear is unclean, don’t forget to keep it clean to avoid excess sebum. No, they aren’t because blackheads don’t have any inflammation. Perhaps, they developed for years ago and just exposed recently. That’s why you need to know how to get rid of blackheads in ear quickly, or they still stay indefinitely. Aside from excess sebum, are there any factors creating blackheads in ear? Hormonal changes happen in teenagers and pregnant women. Eat unhealthy foods such as spicy foods, fast foods, and so on. An accumulation of Propionibacterium acnes on skin. Use of certain medications and drugs. Air pollution or humid air. Additionally, blackheads can grow inside the canals because the lining is made of pore and skin marked by the appearance of hair inside your ears. Usually, people don’t care about cleaning inside the canals. So, this results in a build-up of dead skin cells, wax and after all, the presence of blackheads. And now, allow us to show you how to get rid of blackheads in ear so that you’re guaranteed to have clear skin without catching any black spots. Blackheads on ears or anywhere on your skin are often annoying. Also, they won’t go away on their own. Therefore, to remove them quickly, some opt for the BEST BLACKHEAD REMOVER available in the market while the others prefer to use HOMEMADE FACE MASK FOR PORES AND BLACKHEADS. So, will you wait for these black spots in ears and then remove? Why don’t you learn how to get rid of blackheads in ear fast? Below are useful ways that you can follow. Cleaning the ears is indeed an obvious step, but many people often miss it. Or they don’t know how to keep them clean. As outlined above, the build-up of excess sebum is the primary cause of blackheads. So, if you think that only using cotton swabs in ear will remove oil and ear wax, it’s not. The best thing is to wash them gently whenever hitting the showers. Then wipe them carefully with your soft washcloth. Or apply a gentle cleanser to clean ears and remove dead skin cells and dirt. Let’s soak the washcloth in lukewarm water and then apply it around your ears for some minutes. This assists to open up the pores, allowing you to remove blackheads, oil, and dirt easily. We tend to squeeze blackheads when catching on the skin, right? However, this method is useless and sometimes dangerous since the dirt from your hands might cause infection and make blackheads worse. If you still have troubles with blackheads and wonder WILL BLACKHEADS GO AWAY WITHOUT SQUEEZING, you can consult a dermatologist for sure. Another factor to create blackheads on the skin is the accumulation of dead skin cells. Read here if you want to know HOW TO GET DEAD SKIN OFF YOUR FACE. Unlike dirt, washing only cannot remove them. Hence, all you need is a gentle exfoliant to get rid of the dead skin cells and make your skin healthier. Or utilize some natural materials as salicylic acid (remember to ask your doctor before trying). Use the cotton swab and apply a small amount to your blackheads to get away both dead skin cells and dirt that can obstruct the pores. 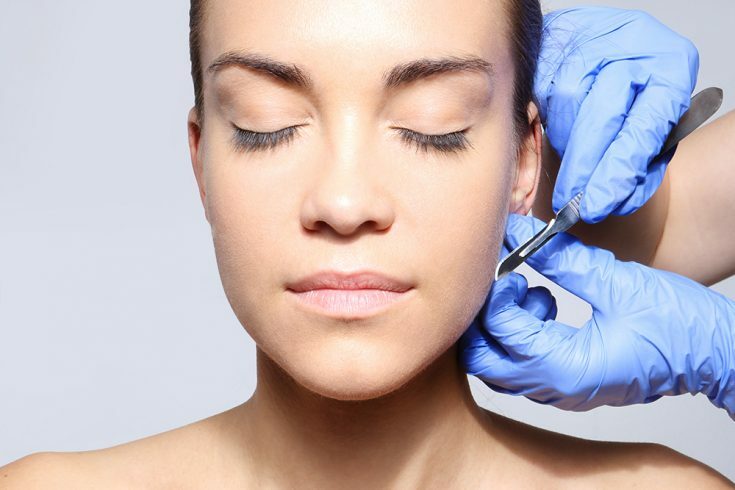 The final way of how to get rid of blackheads in ear is to use a blackhead extractor. Firstly, you need to clean your ears and hands to prevent infection. Then open up the pores with the warm washcloth. Use rubbing alcohol to disinfect the blackhead extractor. Put the tip of the tool on top of blackheads and press down slightly. In case you cannot remove blackhead or feel pain, stop it. Or you hurt the inside of your ear or get an infection. In our opinion, the best thing is to ask someone or a professional to support since it’s hard to see blackheads in ear yourself . You can watch this video here to understand better how a doctor removes blackheads in ear. Although the appearance of blackheads in your ears is not actually a serious matter, they make you look ugly and unpleasant. And in case of blackheads are inflamed for any reasons, you will feel pain, irritation, and breakouts. What’s more, blackheads might spread to other parts of your body such as chin, foreheads, and neck if you don’t remove them on time. Since the ear is an essential and delicate organ, you should avoid applying for chemical-rich medicines. Or some adverse effects may influence on your ear’s functional capacity. Aside from 5 quick ways of how to get rid of blackheads in ear above, we also show some of the best natural remedies so that you can avail to deal with these annoying black spots. Using tea tree oil to remove blackheads from ear is known as an efficient and quick way. According to research from the Australian College of Dermatologists, this essential oil can work well for lessening blackheads since it includes soothing and disinfecting properties. Besides, the antibacterial properties, typically the terpenes, are rather effective for healing blackheads. The study also points out that a small amount of the tea tree oil is effective for acne treatment as well as reducing side effects on the skin. How to get rid of blackheads in ear with this essential oil? Drip 1-2 drops on the cotton swab and apply it directly to blackheads on your ear. Remember not to tuck it far in the ear canal. Or you can mix about 5 drops of tea tree oil with an equal amount of olive oil. Then apply to your affected skin. Repeat twice a day until blackheads in ear are disappeared entirely. However, make sure you test on your skin to see how it reacts before applying on the ear. Additionally, you can add this essential oil to other treatments for acne in order to increase their anti-inflammatory and antibacterial effect. Thanks to a grainy texture, baking soda is considered as a great natural remedy to get away blackheads, exfoliate the skin, and remove the pores in ears. Plus, its natural antiseptic component stops blackheads from being infected. When it comes to the issues about skin inflammatory, baking soda is also effective in eliminating bacteria. What’s more, it is capable of balancing the levels of pH on the skin, decreasing itching and cleaning up acne invasions. How to get rid of blackheads in ear with baking soda? Mix baking soda and water to create a creamy paste. Then pour some drops tea tree oil. Apply the paste to the skin area with blackheads and gently massage to wipe out excess sebum. Let it sit about 10-15 minutes before rinsing off with lukewarm water. The citric acid in lemon juice can work well for getting away blackheads. Also, it exfoliates your skin as well as unplugging the clogged pores. Plus, the citric acid can remove the bacteria that result in blackheads. Extract the lemon juice in a jar and dip it with the cotton ball. Then apply to areas with blackheads and leave it overnight or allow it to dry. Rinse it off with clean water and utilize a moisturizer. Mix lemon juice with rose water or milk and salt. Apply and gently massage the affected skin. Leave it for 10-15 minutes before rinsing off. Just note that when using the lemon juice, you need to avoid a direct sunlight because it might hurt your skin . If you want to deal with sebum and dead skin cells that cause blackheads in ear, using raw, unprocessed apple cider vinegar is a great choice. This natural antiseptic fluid stops bacteria from contaminating pores and creating an invasion of pimples. Besides, it includes a high amount of acetic acid that helps to lessen the presence of blackheads via balancing the level of pH on the skin. Now, learn how to get rid of blackheads in ear with apple cider vinegar. Mix water with the raw, unprocessed apple cider vinegar. Make sure you use this type since it has all the helpful enzymes that can promote the skin’s health. Wet the cotton ball in the mixture and apply to the affected skin in your ear. Leave it dry and wash off with lukewarm water. Do 2-3 times per day. 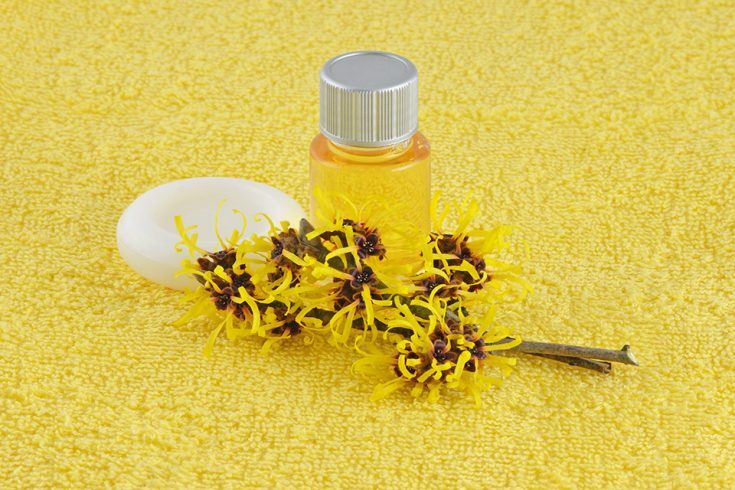 Thanks to its antiseptic and astringent properties, witch hazel is also useful for removing blackheads in ear by drying out sebum from the clogged pores. Additionally, it naturally heals skin discomforts related to acne as it prevents excess oil build-up and the growth of blackheads. The simplest way is to apply witch hazel directly on blackheads in your ear. Or you can mix it with tea tree oil (in the ratio of 1 oz. to 3-6 drops). Or combine it with aloe vera if you have itchy ears or pimples in ear. Repeat 2-3 times a day until the black spots are gone completely. Using egg white is known as the easiest and cheapest treatment for ear blackheads. This mask helps to lift away excess oil and dirt from the skin as well as tightening the pores to stop accumulation of blackheads in the future. Check following steps to know how to get rid of blackheads in ear! Extract egg white into a small bowl and whisk gently with a fork. Avail the cotton swab and apply a thick layer on the affected area of your ear. Continue using a piece of tissue paper so that it sticks to the affected area. Let it dry for 15-20 minutes and gently peel off the mask in upward direction. Rinse off with the clean water and follow up a moisturizer. Repeat at least twice a week until these black spots are disappeared . How to get rid of blackheads in ear? Now, you get a great answer to this question, right? From quick ways to natural remedies, you’re guaranteed to deal with these annoying black spots effectively. When sticking to one method, it’s best to wait for a few days. In case the result is not good, and blackheads are still here, feel free and move on to another one. Perhaps, your skin will be suitable for other methods. And don’t forget to tell us which method is effective for you and which not. Or simply SHARE this article for those actually need.